Marina is a scientist with corporate experience at an advertising/marketing communications/PR agency for life science and healthcare companies. She completed ComSciCon National training through Harvard/MIT and was an RSG Research Communication Fellow at Northwestern University, where she won the Top Speaker Award for a TED-style talk about her nanotechnology research. She is an adjunct lecturer at Northwestern University and the Immediate Past President of the Association for Women in Science (AWIS), Chicago Chapter. Bionanotechnology from Northwestern University. 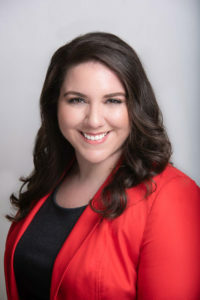 She holds Healthcare Regulatory Compliance Certifications in PR and Risk Communication, and Internet Promotion and Social Media from the Center for Communication Compliance. Damiano Group, LLC is now a Small Business Administration (SBA)-certified Women-Owned Small Business (WOSB) federal contractor! As we seek further certification, we look forward to continued work with federal, state, and county governments and private organizations that seek supplier diversity. Start a project with Marina and her team.